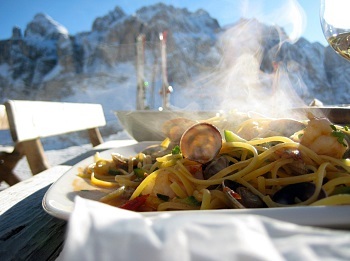 DOLOMITES GOURMET SKI - Learn to COOK & MEET new international friends! 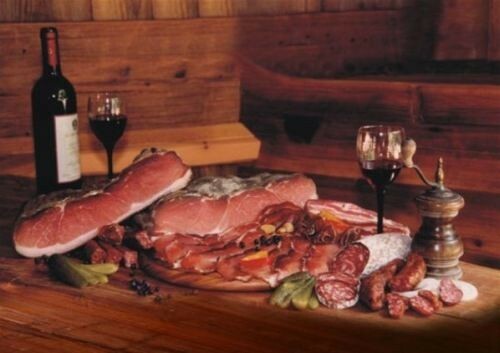 A customized, exclusive, friendly Gourmet Tour to enjoy Italian culinary and natural wonders with your personal chef. "Dolomites Gourmet ski": enjoy a world-class winter delight in the magnificent Dolomites while tasting gourmet delicacies on the slopes. Morning: pick-up by our private comfortable minibus in Prague and transfer to our accommodation in Val Badia in the heart of Alto Adige´s (Südtirol) Dolomites. On the way we will visit the ancient Novacella Abbey for a wine tasting of their Sylvaner, Kerner, Gewürztraminer and Veltliner: located in the northern-most Italian wine-growing region, it features mineral-rich soils, high elevation and cool climate donating intense aromas and flavours to their wines produced from the typical white "Valle Isarco" grape varieties. 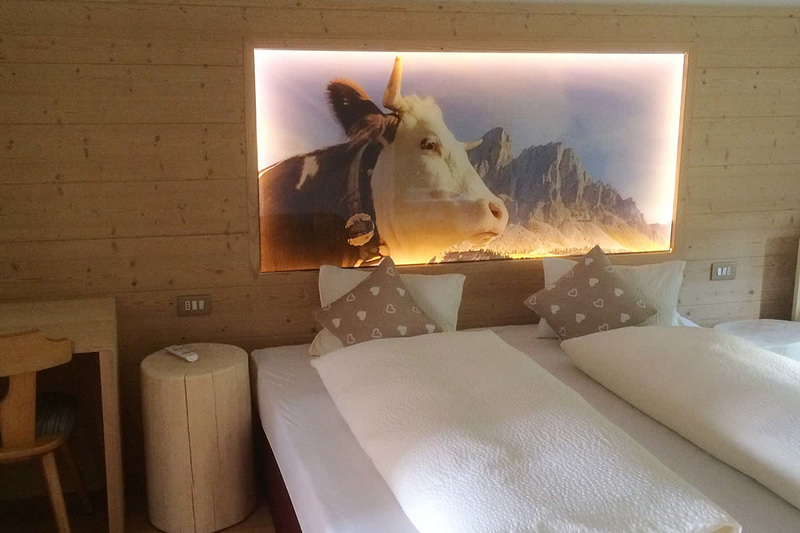 Accommodation in a cozy, family-run mountain hut with comfortable spa facilities and traditional home-made dinner to savour the typical delicacies of the "Ladin" cuisine. The ski area Alta Badia is the heart of the wonderful "Dolomiti Superski" region, a UNESCO-heritage site and the largest ski area in the Alps: magnificent landscapes, perfectly prepared slopes, welcoming traditional huts and superb food guarantee an unforgettable winter experience. 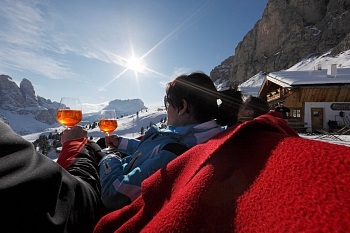 The unique interplay of South Tyrolean ambience and Italian Dolce Vita make Alta Badia the perfect skiing region for epicures. After a rich breakfast, every morning we will transfer you to the nearest ski resort for a day of ski pleasure, then return to our mountain hut for relax in the spa and a rich home-made meal paired with local wines. After breakfast, transfer to the ski resort Alta Badia to join the unique initiative "A taste for skiing - haute cuisine at 2,000 m altitude": local and international top chefs delight skiers in mountain huts with regional and innovative recipes paired with premium wines, click here for the detailed program. 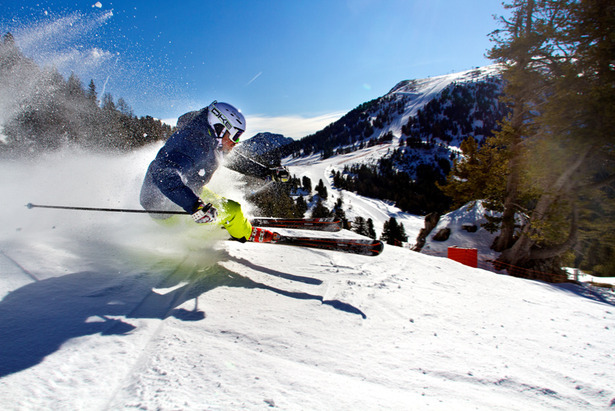 During our "Gourmet Ski Safari" we will taste a choice of the best dishes, and enjoy the magnificent slopes in between.